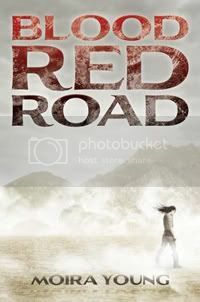 Squeaky Books: Blood Red Road Giveaway! Today's giveaway is one of my FAVORITE books EVER! It's a SIGNED and PERSONALIZED copy of Blood Red Road by Moira Young! Head on over to Ivy Reads to enter!